The Daily News is reporting that the MTA has finally agreed to move their vehicles from a parking lot at 65 Commercial Street to City-owned land in the Westchester Village section of the Bronx. 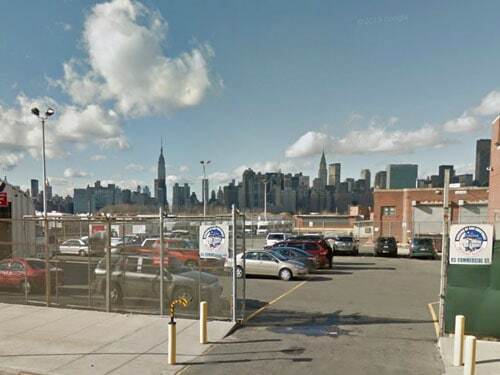 As part of the 2005 Greenpoint Waterfront re-zoning, the MTA agreed in principle to move the vehicles so the City could convert the parking lot to a park, but it has taken 8 years to find a suitable replacement lot. During the lengthy search for a new lot, the $14 million dollars the City had budgeted for the park was reduced to only $1 million dollars. The City is now banking on the sale of the park’s air rights to an adjacent development site, 77 Commercial St., for $8 million dollars. Last month, the City and the developer’s of 77 Commercial Street pitched their proposed purchase of the air rights to the community at a CB1 ULURP hearing, coverage here. While it is true that the City has almost no money in the budget for a park and their plan to generate the funds has angered many local residents, the fact that the MTA will finally move their vehicles is a major step toward to getting a new park for green space-starved north Greenpoint. Greenpointers, what kind of open space and amenities would you like to see at this new park? A DOG PARK!! Northern Greenpoint is grossly under serviced in this area considering it has one of the highest dog populations in the city! Plus, a proper dog park will help keep our streets clean. Check out Dog Alliance Within Greenpoint (DAWG), they are trying to do something about it. honestly i’d rather keep the mta vehicles than have the sky blocked out by towers. a dog park / dog run. I have a dog and hate having to run her on community green property. I do, however, clean up after her if she does poop, which is more than some of our neighbors. It was promised to us in the 2005 re-zoning. If the city re-zones the area for high-rise residential towers on the waterfront, it must also provide more open space for those extra people. Too bad it can’t add a better police precinct, more firefighters, or a hospital.